The Vikings – raid or trade? 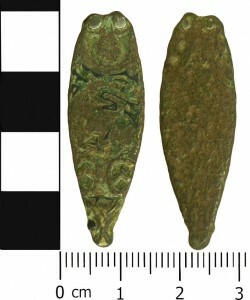 This 9th century strap-end (pictured), now housed in Congleton Museum, was recently found in Church Lawton and has raised questions about the Vikings in Cheshire. Made from copper alloy, it is decorated with an intertwined animal design, originally inlaid with a black metal alloy to highlight it. With an animal head terminus, the strap-end would have been used as a metal piece holding the end of a leather strap such as a belt. Analysis of the piece shows that the owners were the Vikings. The common view of the Vikings today is as a single horde invading Britain, raiding monasteries and slaughtering the inhabitants, but the Vikings were actually various groups of Danes, Swedes, and Norwegians who came to England over a period of 300 years. The Vikings believed that the loyalty and service of fighting men could only be bought with gifts. This meant that the Viking leaders needed access to large amounts of wealth, be it the gold of England or the silver of Byzantium. The Danes were the first Vikings to arrive in England, attacking the rich settlements of the coastal regions and finding great riches. By the 9th century the ‘Danelaw’ of the north was fully established. At this time the border with Mercia was a mere 25 miles away from Congleton, near Runcorn. There seems to be little evidence that the Vikings ever raided this region, with this strap-end being the first Viking artefact found in the county. A more likely possibility is that the strap-end was traded. Across the Norse world, which stretched at one time from Iceland to Constantinople, trade was the other main method of acquiring wealth. Furs, skins, and amber were all traded for silver, gold and other precious items. Even on a local scale the Viking traders would have been looking to turn a profit. It is possible that a Mercian merchant liked the different style of Viking goods and acquired, but subsequently lost, the strap-end. 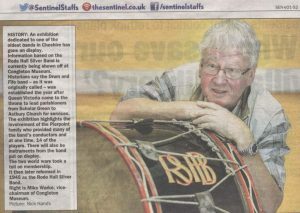 As seen in the Staffordshire Sentinel! 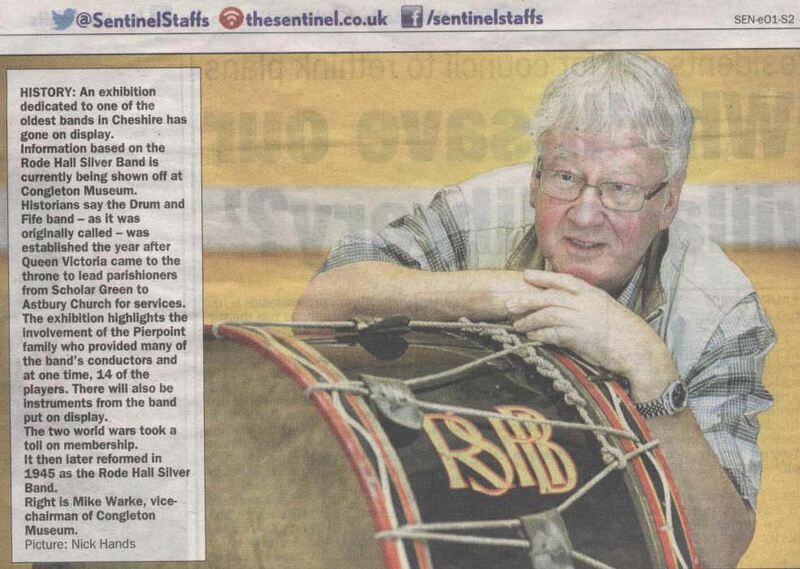 Museum Vice Chair, Mike Warke, poses with the Rode Hall Silver Band’s bass drum. Please pop in and see our exhibition on the history of the band. Entry is FREE! It’s finished! 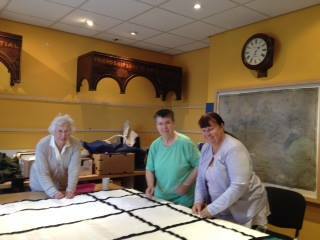 The Town Tapestry has been repaired, redesigned and backed in preparation for re-hanging in the Museum. It’s taken at least a year of consistent hard work to achieve this and on Monday 8th August Trish Lovell snipped the last thread! The textile group will now have to return to is more mundane Monday afternoon activities. Thanks to everyone, especially Trish Lovell and Mary Waller, who were members of the original tapestry group and to the museum’s textile group of Louise, Dorothy and Janet and in particular Linda Ward whose expertise on the sewing machine proved to be invaluable. Music history at the museum! Music history at the museum! Congleton Museum is proud to host a special exhibition on the Rode Hall Silver Band. Established in 1837 to lead parishioners from Scholar Green to Astbury Church, the band is now a staple of local events and celebrations. Included in the display is an 1837 brass drum, still used by the band, along with information about the band’s membership during the two world wars. This free exhibit is open until September 8th. 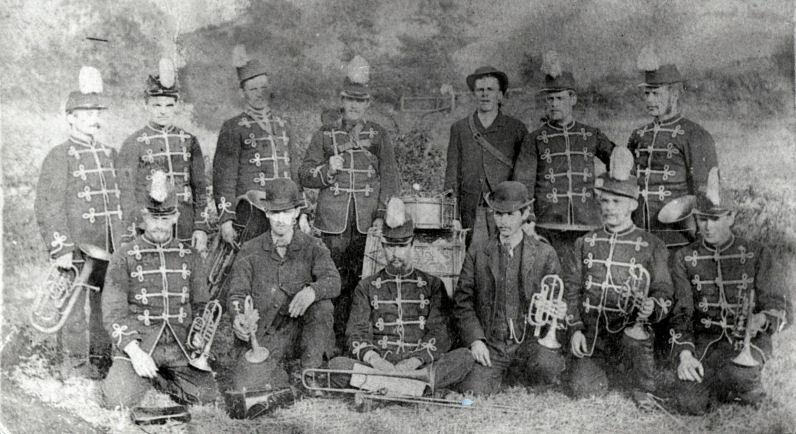 Pictured: the band in 1880. We have a winner! Congleton Museum is proud to announce that Xander Greenwood, from Congleton High School, is the overall winner of Congleton Museum’s first summer art competition. Xander has won a £10 WHSmith Gift Voucher. Other winners include Macy Rigby (pictured) from Quinta Primary School, who won in the group B category(ages 7-10). 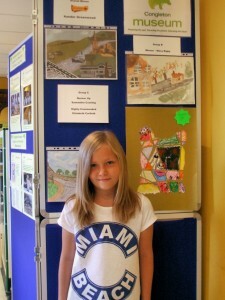 Her entry was a watercolour interpretation of a black and white photograph of old Congleton. Group C (ages 11-14) was won by Samantha Cowling from Congleton High School. Both Samantha and Macy won a Congleton Museum pen of their choice. Also on display is the entry by Elizabeth Corfield from Congleton High School (11-14 age group), whose piece was ‘Highly Commended’. Congleton Museum’s summer art competition for the local schools has produced some excellent pieces which are now on display in the museum. Attracting considerable praise, the artwork is based on the topic of ‘History of Congleton and Astbury’. The new competition was a success; with trustee Diane Ritherdon saying, ‘The young people have produced excellent work, and they deserve a wider audience.’ We would like to thank all entrants for their excellent entries and we hope to run more art competitions in the future.